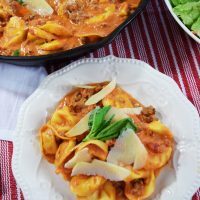 Father’s Day Menu Ideas! Let’s cook something up delicious for all the Fabulous Fathers out there! 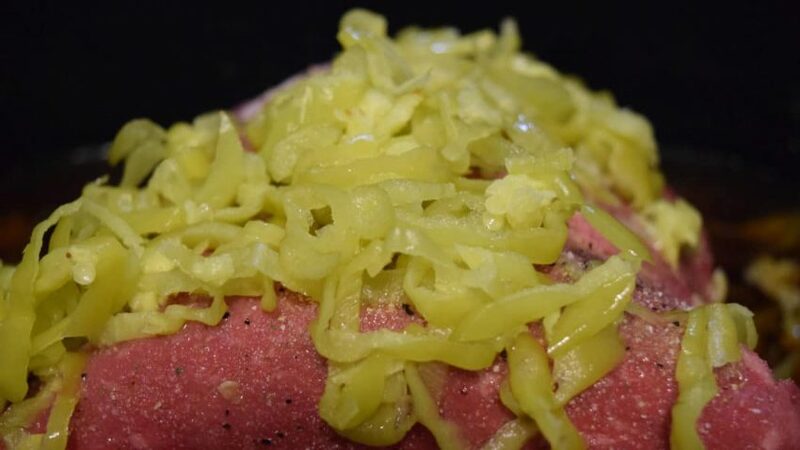 In honor of Father’s Day, we want to cook something Dad will love. I love to spoil dad (aka the hubby) with something that he loves on his special day. In my house that usually includes something beefy. 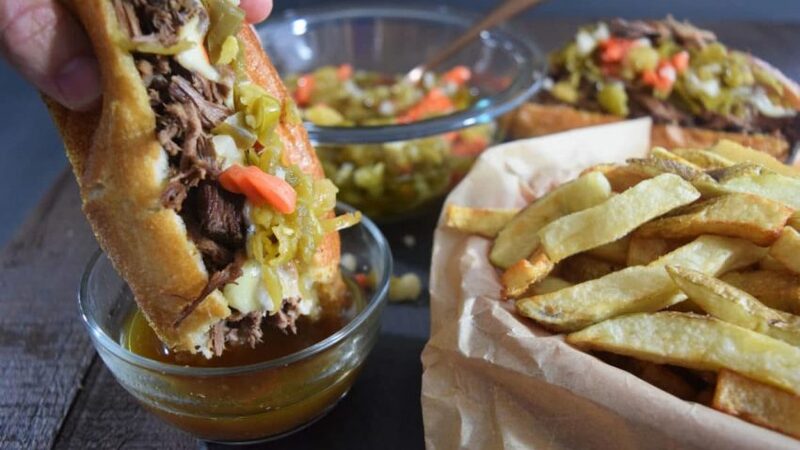 This Crock Pot Italian Beef Sandwich is the perfect way to steal his heart. 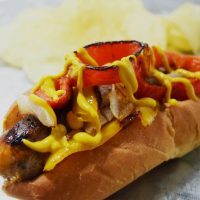 Today’s blog post is all about things DAD will love to eat. My Sunday Supper friends have come together to honor dads in a way that makes them HAPPY. After all, they say the way to a man’s heart is through his stomach! That’s certainly true at my house. You don’t have to spend all day in the kitchen to spoil Dad! 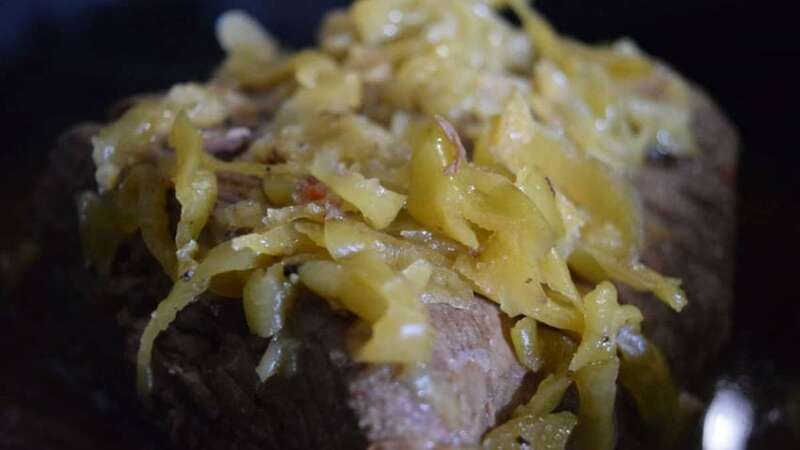 That is why this Crock Pot meal will not only delight dad, but momma will be dancing for joy too. More time to relax and spend the day with the family! After all, this is what is truly important. My husband is a very simple man. He doesn’t want a big fuss. With life being so busy he really just wants to spend the day a little laid back and enjoying time with the family. I also can’t go without saying, cherish those Dad’s, mine passed away 7 years ago and oh how I miss him. This day always brings wonderful memories and big tears too. Life just isn’t the same without your daddy! So, today I am keeping it simple, like my husband would tell me and planning to love on the family and do something we enjoy. You may find us floating in the pool and then gathered around the table playing cards together! Step 1. Grab your rump roast or chuck roast will work as well. Garlic Salt (have you noticed I use this ALOT- love it) to taste on all sides. Into the Crock Pot it goes. Sprinkle on that Zesty Italian Dressing Dry Mix. Spoon on those pepperoncinis and splash in a little of the juice, for good measure, or a BIG splash in my case. Pour the beef broth in the bottom of the pot. Step 2. Lid on. Cook on low for 8 to 9 hours. Then you have this deliciousness going on! Step 3. Remove and shred by pulling with two forks. 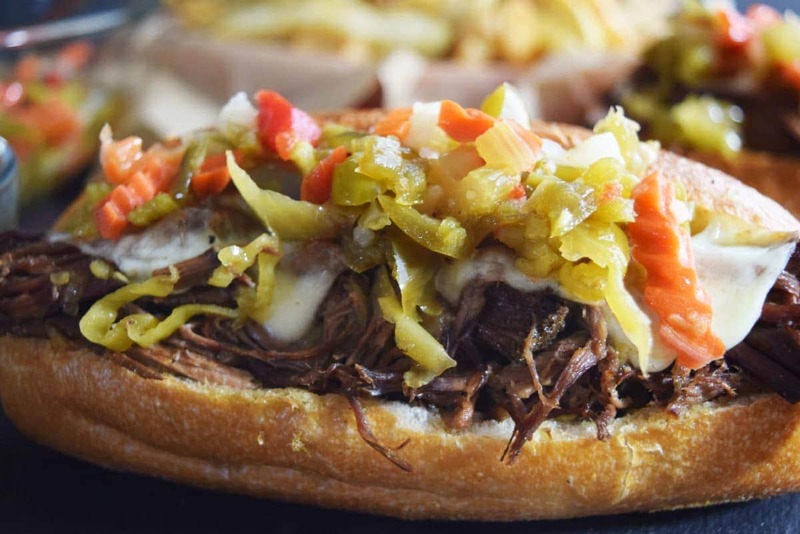 Place shredded beef on hogie roll and top with provolone cheese. Broil in oven for 2 to 4 minutes or until cheese is melted and bread toasted (I have never met two ovens alike ya’ll). Top with some of the cooked peppers and Giardinieria Mix. Oh so yum!!! Step 4. 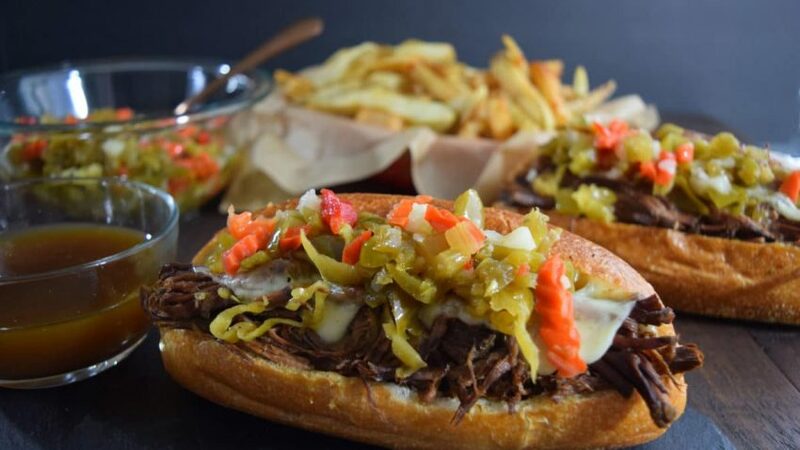 For the au jus – drain the juice through a strainer to get all the peppers and drippings out. Unless of course you like that in your juice! It’s all good! And if you want some extra goodness with this meal, fry up some homemade fries!! Oh DAD is going to be DROOLING today! Hungry for more? I’d love for you to join along each week CLICK HERE and start receiving the Soulfully Made Newsletter! I promise I won’t overload your inbox! 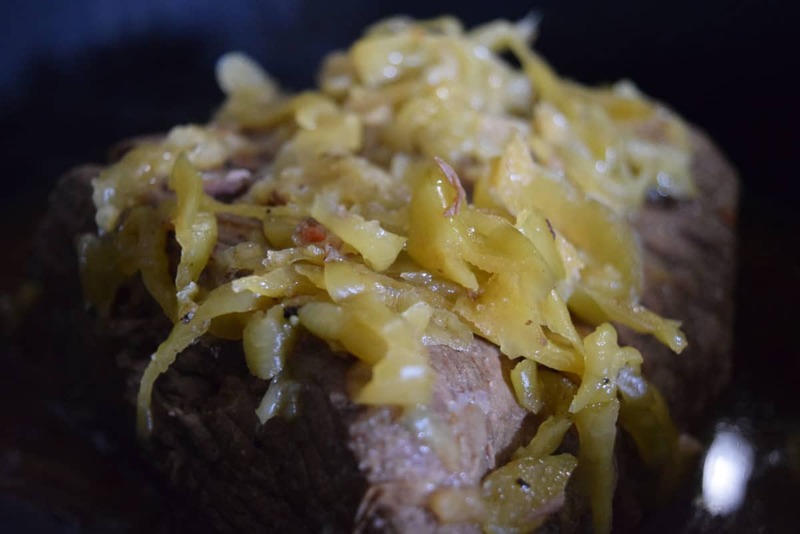 Garlic Salt or Salt & Pepper Rump Roast on all sides to taste. Place in crock pot. Sprinkle packet of Zesty Italian dressing mix on top of roast. Pour beef broth around roast in bottom of crock pot. Spoon Peperoncinis on top of roast and pour some of the juice in if desired. Set Crock Pot to low for 8 hours. Remove beef and shred by pulling with two forks. Pour some of the Juice through a strainer for Au Jus. 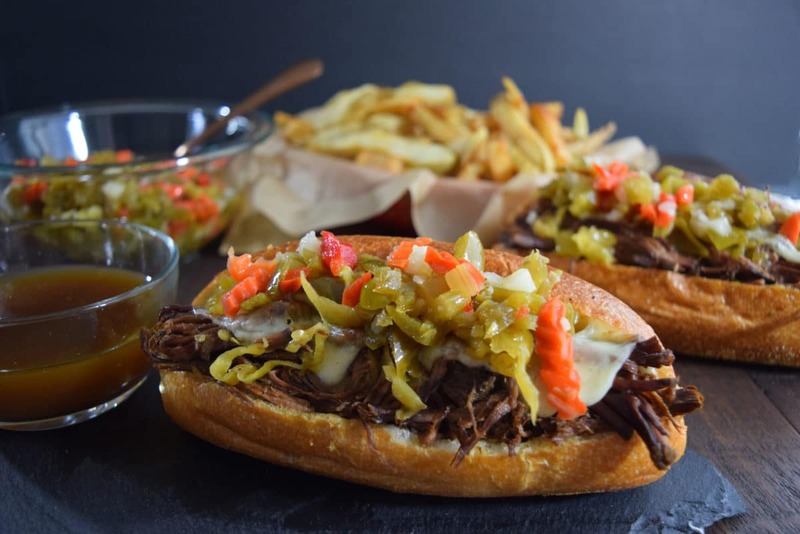 Place shredded beef on a hoagie or french roll. Top with sliced provolone cheese and broil for 2 to 4 minutes. Top with some of cooked Peperoncinis and Giardinieria Mix. Spoon on some au jus or dip. I’m sharing this on two of my favorite link ups!! Meal Plan Monday and Weeknd PotLuck! So much deliciousness over there! You will want to check it out! This looks so delicious! I just know its super flavorful! 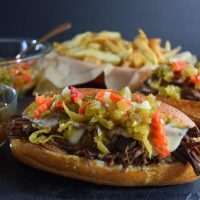 Love this sandwich and it is so great that it is cooked in the crock pot! I know my family would love it too! Thank you Teri! 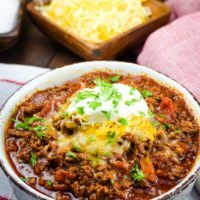 Love easy meals full of flavor too! This is such a fabulous idea for EVERY day of the week. I love an easy peasy delish meal!! Thank you Betsy!!! I love easy flavorful meals too ? What a delicious sandwich! Definitely fit for a hearty appetite. Nice that it doesn’t take a lot of effort too. Thank you David! 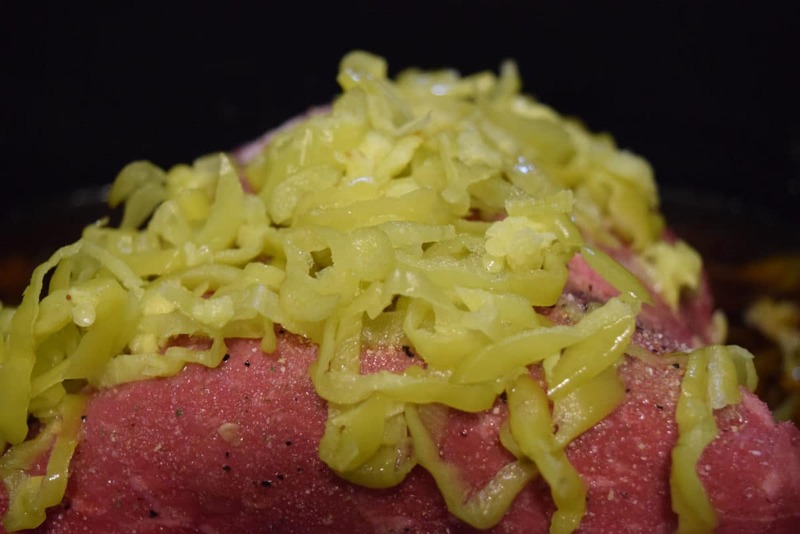 It won’t leave you hungry for sure! This is 100% my stepfamily’s style. Yum! Love when we can please the family! 🙂 Thank you Sarah! I can imagine my Dad would like these too and bonus being easy! I do love easy meals that please Dad! These look so good!! 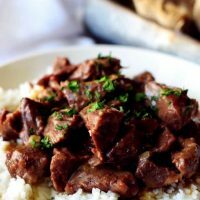 I’m a sucker for anything made in the slow cooker. Thank you Christie!Me too! I love easy meals!! My husband would love this! 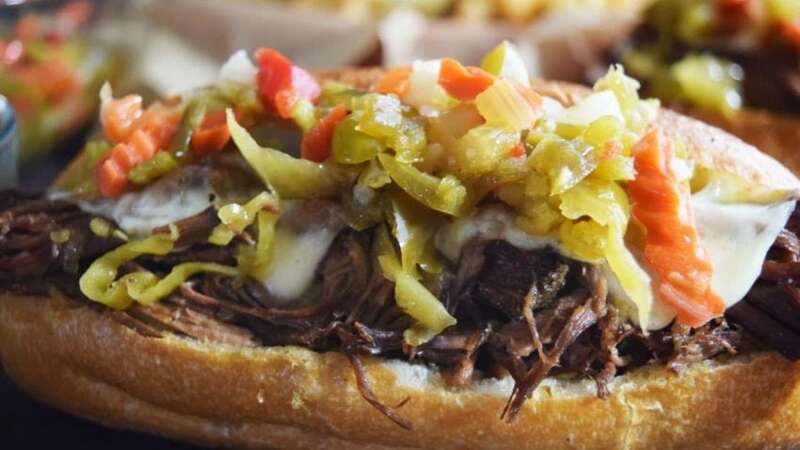 so nice that the meat can be slow cooked in the crock pot and the Giardiniera is the perfect topping. Thank you Cheri! My boys love it too! That toppings is so delish! Always happy to add to my slow cooker recipe file. Especially when they’re tasty! 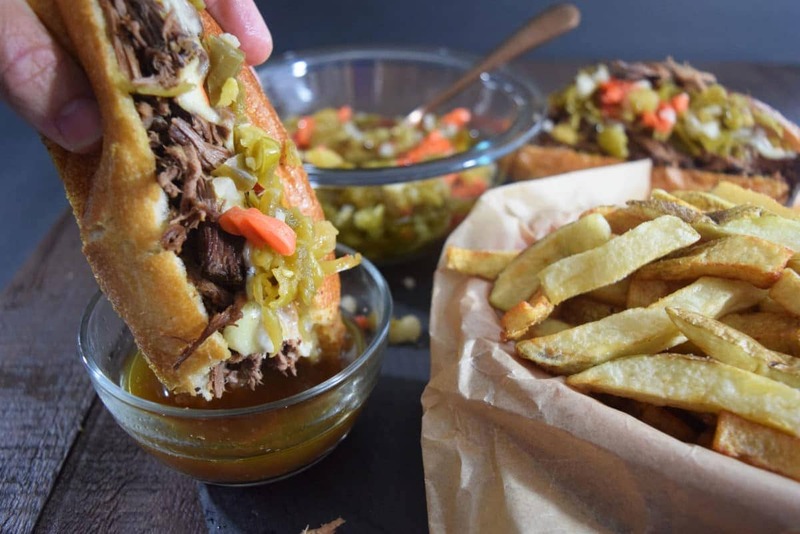 Your Italian Beef Sandwiches are reminiscent of the subs my husband loves to enjoy in New Jersey. Thank you! Yes, never too many slow cooker recipes! Love them! Hope your husband enjoys these as much!